PT Brantas Abipraya (Persero) - PTBA or known as "Brantas Abipraya" is a reliable state-owned company on the construction industry. Fully-owned by the Government of Indonesia, Brantas Abipraya has strong business focus on construction projects related to water infrastructure. Its projects include dams and weir, tunnel work, road and bridges, irrigation and river improvement, dredging and reclamation, and manufacturing landscape. PT Brantas Abipraya (Persero) was formed in 1980 as an expansion result of Brantas river Project Development, the development project of Brantas river basin in the East Java province. 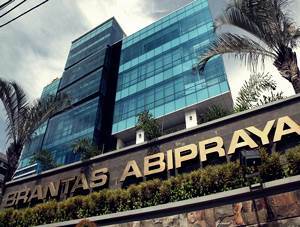 Headquartered in Jakarta, Brantas Abipraya runs its business through 2 division offices, 4 regional offices, 4 branch offices, and 4 precast factories spread in all over Indonesia (as of December 2016). In 2016, Brantas Abpiraya recorded a satisfactory performance growth. According to PT Brantas Abipraya (Persero) Annual Report 2016 as cited by JobsCDC.com, Brantas Abipraya records strong total profit growth in 2016, total profit grew 35.44% year on year from Rp 131.60 billion in 2015 to Rp 178.25 billion in 2016. Referring to its annual report, Brantas Abipraya's total revenue in 2016 reached Rp3,323.32 billion with 5.39% increase compared to 2015 which was Rp3,153.18 billion. Required experience in the field of business development for at least 3 years. Minimum education S-1 Financial Management with minimum GPA of 3.00. Mastering the concept of Strategic Analysis and Strategic Planning. Mastering the concept of Business Model Development. Mastering financial analysis and financial modeling. Solid understanding about the process of Primary and Secondary Research. Mastering Microsoft Office, especially Excel and Powerpoint. Able to speak English, both oral and writing. Honest, diligent, thorough, innovative and communicative and can work together in teams. Have a good presentation, analytical thinking and problem solving skills. Able to work in discipline and on target. Willing to be placed in all working areas in Indonesia. Required experience in the field of performance management for at least 3 years. Minimum education S-1 Management, preferably Strategic Management or Marketing Management with minimum GPA of 3.00. Mastering the concept of Balanced Scorecard and Performance Management System. Operating knowledge of Performance Management application. JobsCDC.com now available on android device. Download now on Google Play here. Please be aware of recruitment fraud. The entire stage of this selection process is free of charge. PT Brantas Abipraya (Persero) - Business Development, Performance Management Brantas February 2018 will never ask for fees or upfront payments for any purposes during the recruitment process such as transportation and accommodation.